Lift off with the exciting side bet, Rockets to Riches. Rockets to Riches is an exciting and easy new side bet, which makes the traditional game of Blackjack soar to new heights! Rockets to Riches is extremely easy to play. 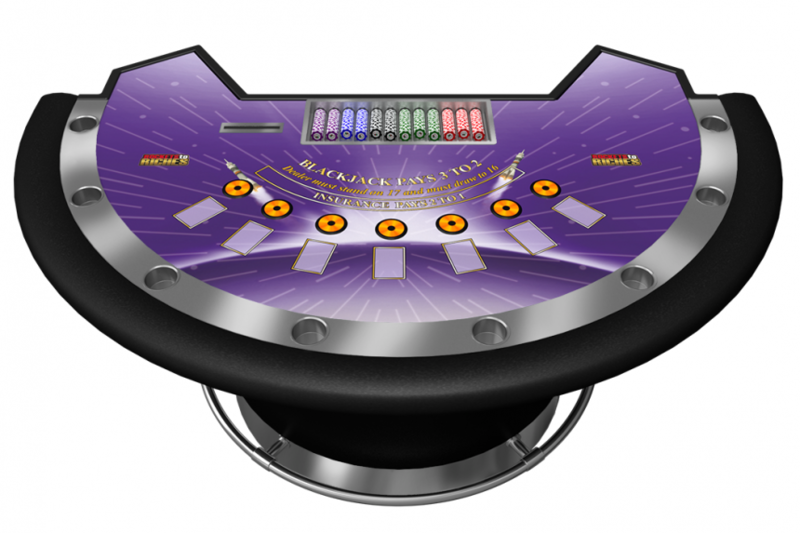 All that’s required, is for the player to place a side bet on the flashing sensor located in front of the bet box, in addition to a regular Blackjack wager. 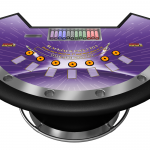 Once all wagers have been placed, the players and dealer are dealt cards according to the standard Blackjack rules. The outcome of the Rockets to Riches side-bet is resolved based on the player’s first two cards, plus the additional cards immediately dealt in the case of split Aces.